Derby is home to the greatest football team in the world (ok, so I might be a slightly biased season ticket holder) Derby County. If you’re lucky enough to visit the city on a weekend you can catch the mighty Rams at the Pride Park stadium. When there isn’t a game on, you can also take a stadium tour. If football isn’t your thing, then there’s plenty of other things to do in Derby during the day. The Intu Centre has plenty of shops, a food court and restaurants and a cinema, bowling and mini adventure golf. There’s something here to please everyone so, if you’ve visited Derby as a family you can even split up to try everything out! You’ll have to hurry if you want to catch this one as it’s only in Derby until the 23rd July. This poppy sculpture is part of the First World War centenary arts programme and was originally on display at the Tower of London in 2014. I would recommend this to anyone as it’s such a sombering display which really touched me when I saw it in London. 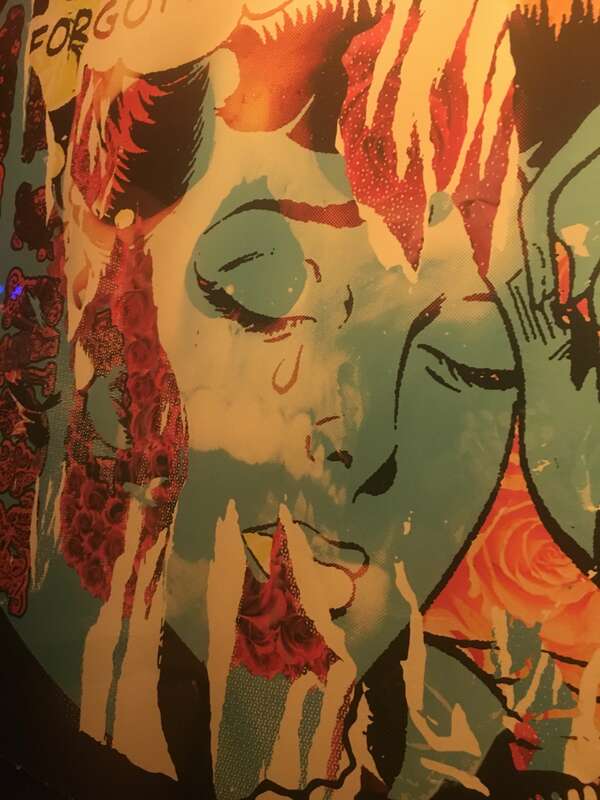 We visited Bodega on Sadler Gate a couple of months ago for the opening event and we loved it so much that we couldn’t wait to visit again. 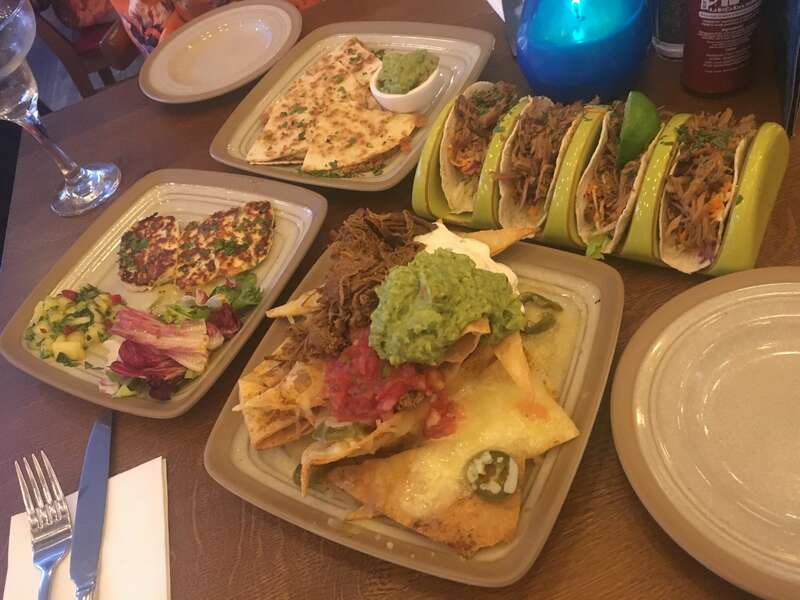 Think absolutely delicious homemade South American cuisine and margaritas to die for and you won’t be far wrong. Full review coming soon! Derby’s actually really good for nightlife and I like the relaxed atmosphere of a night out here. There’s also more of an older crowd (I’m taking mid 20s – 30s) than other cities which makes me feel right at home. We tried out The Brooklyn Social in Derby’s Cathedral Quarter which looks and feels, as its name suggests, as if it’s situated in a borough of New York City. We also visited The Palfrey in the Old Blacksmiths Yard, a wine bar and restaurant. It was a warm night so it was really nice to sit outside and soak up the atmosphere. We were invited to stay at the Travelodge near Derby Cricket Ground and it was perfect for an overnight stay in the city. The bed was super comfy and made for an excellent night’s sleep and it was just a short taxi ride away from the city centre. 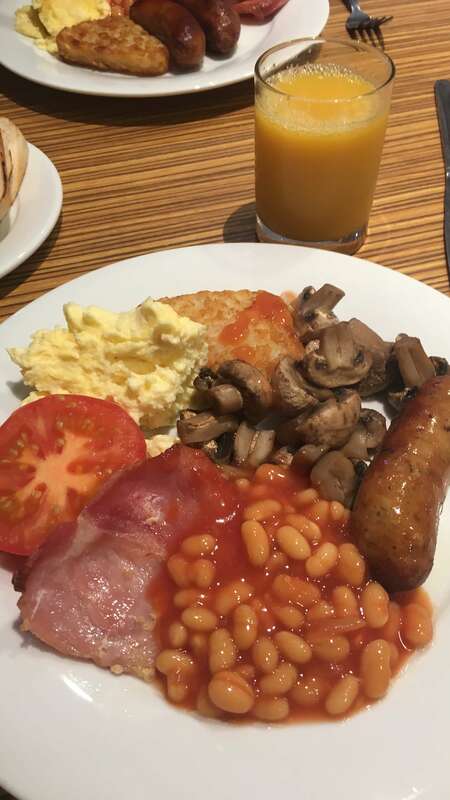 There’s also a delicious all you can eat breakfast on offer for the morning after – the sausages were amazing! As it’s quite a new hotel, everything seems super modern and clean. There’s also ample parking and a quirky little bottle opener in the room for when you bring your own bottles. My only teeny tiny quibble is that the Wi-Fi isn’t great…first world problems! Otherwise Travelodge is perfect for a budget hotel stay. I was invited to review Travelodge and Bodega in Derby but all opinions are my own.